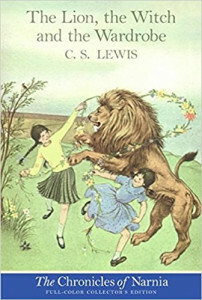 The Lion, the Witch, and the Wardrobe was posted on August 27th, 2018 at 9.43am and is filed under Audiobooks, Blog. This entry has 3 comments. You can follow any responses through the RSS 2.0 Feed. I love the Lion,the witch, and the wardrobe!!!!!!! It’s great book, isn’t it? Thanks for all the nice comments, Lily-Kate! I’ve enjoyed so many of your audio books and can’t wait to listen to this one, as it is an all-time favorite of mine!